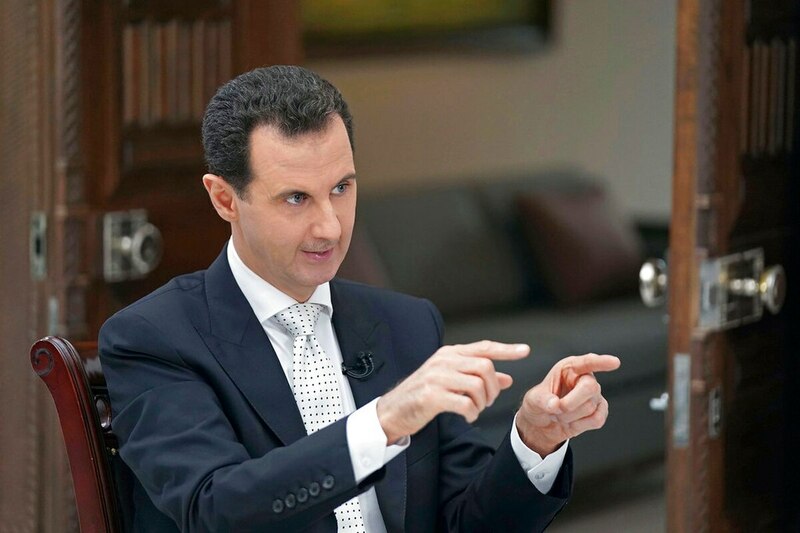 BEIRUT — Syrian President Bashar Assad threatened to attack a region held by U.S.-backed Kurdish fighters in northeastern Syria, saying in an interview broadcast on Russia Today channel on Thursday that American troops should leave the country. With military backing from Russia and Iran, he has reclaimed most of the territory lost to rebels in the wake of the popular uprising that swept the country in 2011 and quickly descended into all-out civil war. But large patches of territory remain beyond his control, including the expansive region north of the Euphrates River that is administered by the Syrian Kurds. Forces loyal to Assad and the Syrian Kurds have clashed sporadically over the eastern oil province of Deir el-Zour. Last year, they led rival campaigns against the Islamic State group, and maintain a protracted front against each other along the Euphrates. The United States, which supports the Kurdish-led Syrian Democratic Forces, operates air bases and outposts in the Kurdish-administered region. The Syrian president is also under pressure from Israel over growing Iranian influence in Syria. Iran, in conjunction with the Lebanese militant group Hezbollah, now operates a network of militias recruiting from across the Mideast to fight on Assad’s behalf and maintains a command structure separate from the Syrian government. Israel in recent months ramped up its strikes on alleged Hezbollah and Iranian positions and weapons depots inside Syria, sparking fears of a regional war. In the TV interview, Assad maintained there are no Iranian troops in Syria, only Iranian officers advising the Syrian army. He denied reports that Iranians have been killed in Israeli strikes. “Actually, we had tens of Syrian martyrs and wounded soldiers,” he said. Defense News brings you this first-ever official account of an Israeli operation to destroy Syria’s top-secret and nearly operational al-Kibar nuclear facility just weeks before it went hot. The Britain-based Syrian Observatory for Human Rights, which monitors the war through a network of activists on the ground, says at least 68 Iranian and pro-Iranian forces have been killed in Israeli strikes since April. Israeli Prime Minister Benjamin Netanyahu has said his government won’t accept a permanent Iranian presence anywhere in Syria. Also Thursday, Israeli Defense Minister Avigdor Lieberman visited Moscow for talks focusing on Syria. Lieberman’s Russian counterpart, Sergei Shoigu, said the two would discuss the situation in southwestern Syria, along its border with Israel. The Syrian government’s plans to recapture rebel-held parts of the region have raised Israeli concerns that its backers — Iran and the Lebanese militant group Hezbollah — could take up positions along the frontier. Russian news reports said Moscow wants to cut a deal that would see Russian military police deployed to areas near Israel. The agreement envisages Iranian forces pulling out from the entire area and Syrian rebels there surrendering heavy weapons. The Observatory said Thursday that Iranian troops and Hezbollah fighters are preparing to withdraw from southern Syria, namely the regions of Daraa and Quneitra near the Israeli-occupied Golan Heights. A Syria-based official with the Iran-led axis of resistance, however, denied the report saying it is “untrue.” The official, who spoke on condition of anonymity because he was not authorized to speak to the media, gave no further details. The U.S. and Russia, while backing rival sides in Syria’s war, have coordinated their maneuvers in Syria and largely avoided direct confrontation. 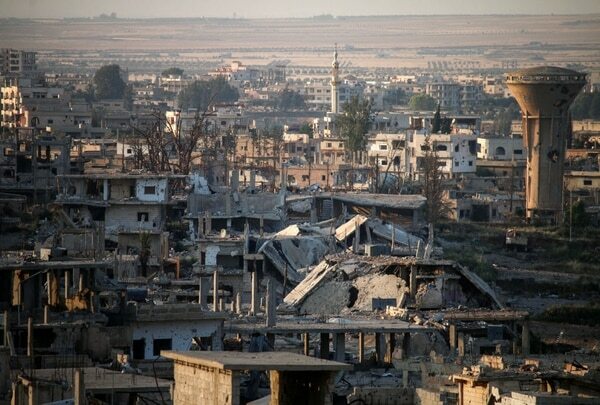 But in February, U.S.-led coalition airstrikes killed several Russian private contractors that appeared to be advancing with pro-government forces on a position held by Syrian Kurdish forces in Deir el-Zour. Russia has maintained the Russian contractors in Syria are in the Mideast country of their own volition and are not the responsibility of the Kremlin. In the interview, Assad said U.S. and Russian forces would have come in direct conflict long ago in Syria if it were not for Russia’s prudence and judgment. Associated Press writers Albert Aji in Damascus, Syria, and Bassem Mroue in Beirut contributed to this report.